Experimenting with vegan cheese has lead me down a a path lined with sprouts, essene bread, raw foods, and vegan yogurts. Anyone who has been around me in the past week will attest at my inability to talk about anything else. A few people have made it over to our house during this high experimentation time, and they've been lucky enough to not have any of these offerings foisted on them, but they can't escape so long as they know me. Yes, I lure people into my lair with cocktails, and then cram vegan cheese and raw crackers down their throats! 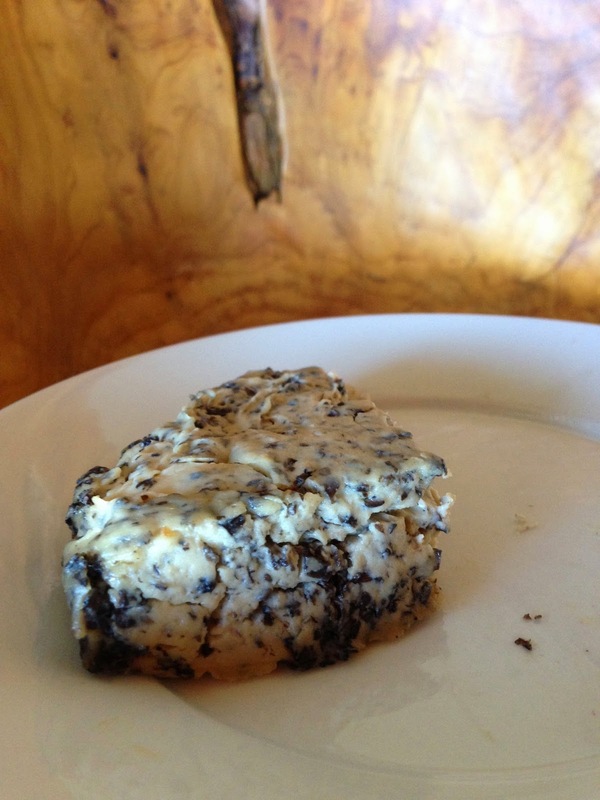 The vegan truffled brie experiment went well, although Sesame got first crack at tasting it. I've been drying my cheese near the back of my stove, and she actually pushed a step ladder over to the stove and swiped a huge chunk of cheese while I was at work. Undeterred and much to the boy's disgust, I cut off the bits my dog's mouth touched and continued aging the brie, this time in pet-free zone. Does it taste like brie? Well, although I do like the taste, both the taste and the texture reminds me of… Condensed cream of mushroom soup. It's like I dumped a can of mushroom soup, air dried it for a few days so it develops a skin, and served it on a cracker. Does this mean I like it? Yes, I do like it, but I think the next time I make this, I will skip the aging step, reduce the tapioca flour and agar powder, and just run with it as a delicious soup. The plethora of cheese means that we need crackers and bread to eat with the cheese. (Unless you're Sesame. But, she has a laundry list of questionable favorite foods, so for the sake of this discussion, her opinion does not count.) 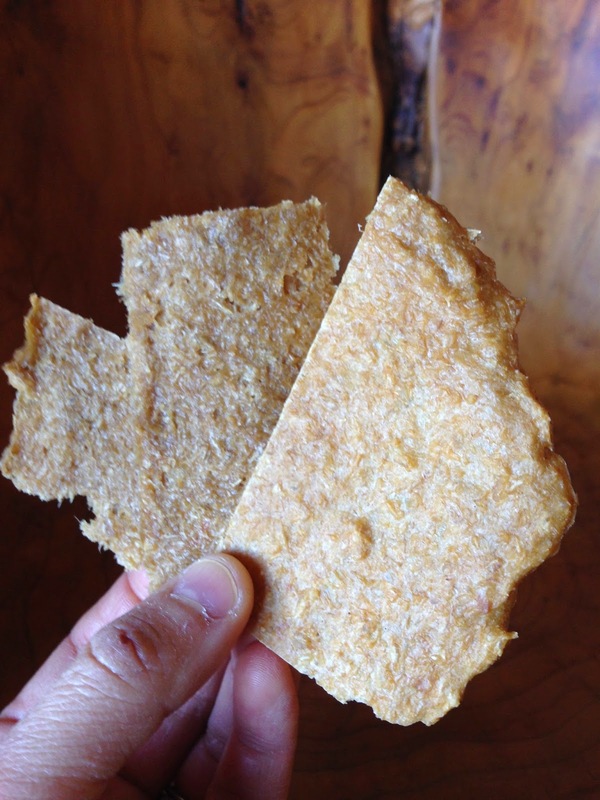 I had leftover sprouted kamut, so I made some essene crackers. 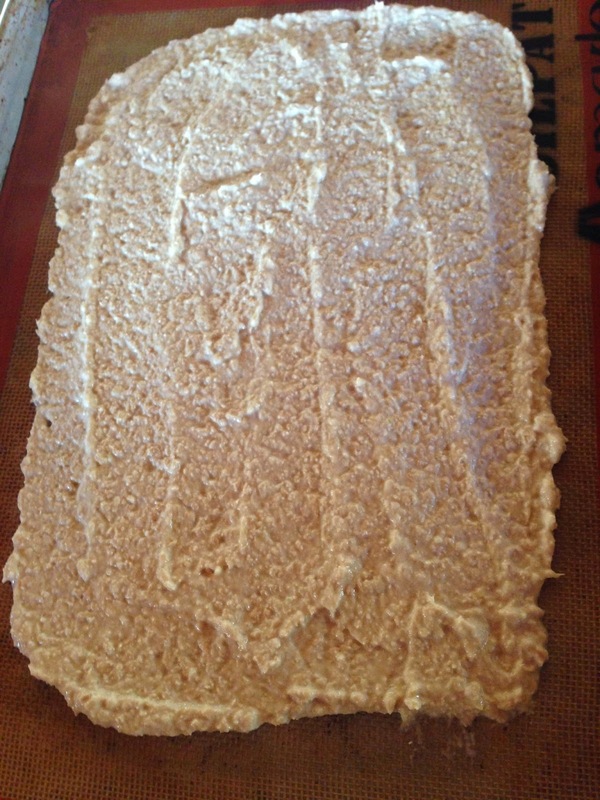 To make the crackers, I put the kamut into the food processor with a dab of honey, salt, and olive oil. There resulting mass was spread onto a silicone mat and dried at 150 F.
The resulting crackers are on the sweet side, so to fix that, my next batch of kamut won't be sprouted for as long and I'll reduce, or even omit, the honey. 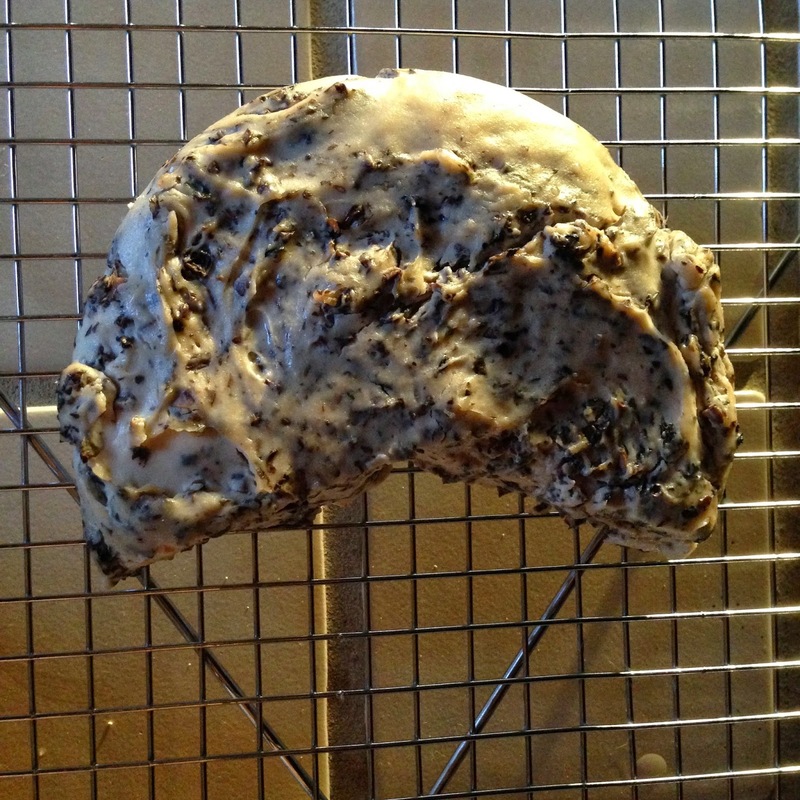 Essene bread can be bought commercially as Ezekiel Bread, a sprouted wheat bread that is dense in texture and nutrition. I'm making it because I need more crackers and I don't want to buy them at the store when I have a pantry full of raw materials. I made another batch of non-dairy yogurt, this time using a thick cashew milk as the base. This yogurt is much better than my last batch of soy and cashew yogurt, maybe because this time I used a spoonful of Nancy's Organic soy yogurt as a starter. The yogurt was tangy in about 6 hours, and it was creamy! The picture below was from when I first made the yogurt, but now that it's been in the refrigerator, it has a lot more body. I'm definitely making this again - the cashews are soaking as I type. We used the yogurt as a topping for a beet risotto, and it was fantastic! I also ate most of it with a spoonful of Meyer lemon marmalade. The marmalade was gifted to me, and now that I'm out, I want more! I found this recipe and I have all the ingredients, so hopefully I'll have some more marmalade tucked away for future yogurt topping.